Download Sound Festival PSD Flyer Template for free. 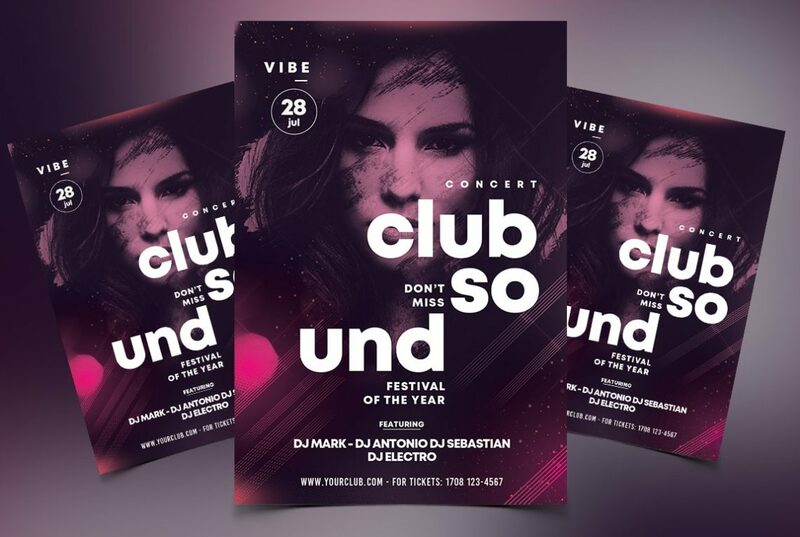 This flyer is clean and suitable for any type of concerts, club, dj, music festival and other. The psd file is fully editable and very easy to customize. All layers are organized in groups which makes easy to make any edit.